One of the traditions that have withstood time and history in Nigeria’s political scene in the 4th republic is to review the first hundred days of any political administration. During these periods, we have witnessed bogus and mirage reviews by past political leaders, party associates, and sympathizers. The APC leadership in a very realistic foresight did not make bogus 100 days in office promises. However, one may conventionally begin to assess the accomplishments of President Muhammadu Buhari in the first 100 days in office. Meanwhile, 100 days is minuscule in the single term of a four-year government. No doubt, the All Progressives Congress (APC) came into office on May 29, 2015, with very high expectations from Nigerians, due to the almost two decades of woeful leadership by the Peoples Democratic Party (PDP). Certainly, the last 6 years was the hallmark of Nigeria’s misrule: Security, power, and capital infrastructure were in a retrogressive state. The bad leadership of the last administration brought about change that produced President Muhammad Buhari as president of the federal republic of Nigeria. The first 100 days of President Muhammad Buhari has been characterized by massive clean-up of the Jonathan’s administration, since the corruption that characterized the administration was so devastating, that unless it is cleaned, Nigeria will not be able to actualize its potentials. 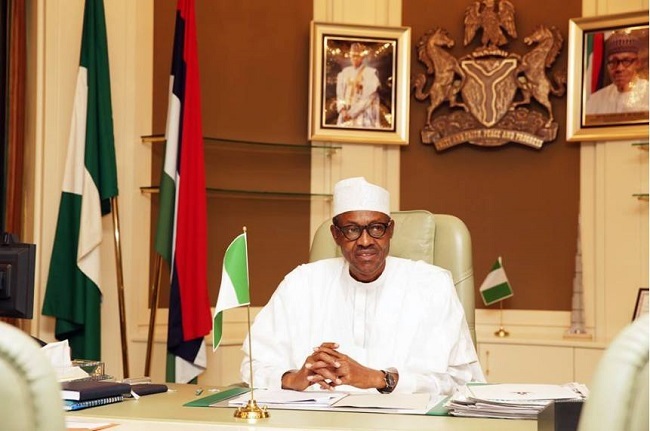 Against the background of the myriad of challenges that has incapacitated the Nigerian military, due to endemic corruption, President Muhammadu Buhari has set up an investigative committee, mandated to identify irregularities in the Nigerian armed forces. In a related development, the president also appointed a Presidential Advisory Committee against corruption, headed by the renowned and erudite professor of Law, Professor Itse Sagay. The task of the committee, which includes advising the presidency on the prosecution of the war against corruption buttresses that President Buhari is working out a template for Nigeria’s achievement. Notwithstanding the recurrent discovery of corruption cases under Jonathan’s administration, the feat oozing out of President Buhari’s administration promises better days ahead. The energy and power sector is a driving force for any growing economy. So far, the power generation, according to Ambassador Godknows Igali, has improved from about 2,800 MW in May, 2015 to 4,810 MW with capacity to increase the generation to 5,500 MW within a short time due to availability of gas. Undoubtedly, the power supply has spiked. Nigeria’s refineries can work? Certainly! Call it the realities of change that seemed impossible before now. Within the span of 100 days, three of the four Nigeria’s refineries have resumed production and operating at about 80% capacity. In turn, Nigeria will be saving over half a billion Naira a day by halving petroleum importation. Even the most fervent cynics will agree to the fact that Nigeria now has sufficient fuel supply across the country. Surely, President Buhari’s 100 days in office has surpassed his predecessor’s achievement in the fight against the dreaded Boko Haram terrorist group. President Muhammadu Buhari’s diplomatic spree to the Lake Chad Basin: Chad, Benin Republic, Cameroon and the Niger Republic have strengthened the joint fight against Boko Haram. With the Multi-National Joint Task Force now brought together, and the advancement in the defeat against Boko Haram strongholds, as well as the matchless team to implement his change mantra, Nigeria’s north-east and the entire nation will soon feel a total sigh of relieve. The entire nation’s security is one of the utmost priorities of the president. Against the backdrop of checkmating crime, and in line with the president’s statement during his inaugural speech thus: “I belong to everybody, and I belong to nobody” The president directed the Inspector-General of Police Sunday Arase to withdraw orderlies from dignitaries, and redeploy them to regular police duties. The government is also working apposite framework that will facilitate the employment of additional 10,000 police officers. So far, President Buhari has started well, and his quest to reshape Nigeria for the benefit of the masses is unquestionable. The journey of a thousand miles begins with a step, and a house built on a flawed foundation will crumple. Hence, the president needs considerable time to meet Nigerians’ expectation. Nigerians must support the fight against corruption because the fight is a much-needed one for Nigeria to flourish. Corruption in Nigeria is so endemic, enormous and contemptible. With a more refined system, the much-awaited ministers, political appointees and Nigerians, in general, will have the needed platform to excel.